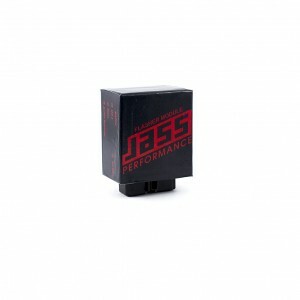 The Jass Flasher Module plugs in and installs like the OEM module, but does not allow hyperblink even if all indicator bulbs are changed to LEDs. The advanage of LEDs are the light output, more intriguing light patterns, especially in combination with TSIs, less power drawn from the alternator as well. The OEM system needs 94W (4x21+2x5) vs close to 10W if LEDs are used. The Jass Flasher modules have integrated buzzers providing this feedback in a good pleasant way. The casing and connectors replicate the OEM one. Please note, you should still reuse the OEM flasher module for full OEM flasher bulb setup and the Digital Flasher Module in case you are using LEDs.